Homemade flavors combine with world heritage natural charm. Opening with a splash on Luang Prabang’s culinary scene in 2015, Maison Dalabua’s sister restaurant Manda de Laos cooks up traditional Lao family dishes served with a very creative presentation. Set on the banks of a large natural lotus pond, meals here are immersed with intensely delicious flavors, as well as a measure of tranquility. The origin of this restaurant begins with the owner’s mother, Mama Phiew, born in 1930 to a prominent local family. As a child, she learned to cook traditional Lao dishes from her mother. Later, when she had a family of her own, she passed this love of cooking on to them, using the time-honored family recipes handed down for generations. Some of these dishes have become signature menu items at the restaurant. Highly recommended is the Ped Makkham, which is slow-cooked duck in a tangy tamarind sauce served over local greens. Also worth mention is the Luang Prabang Salad which comes with a local-style Scotch egg. 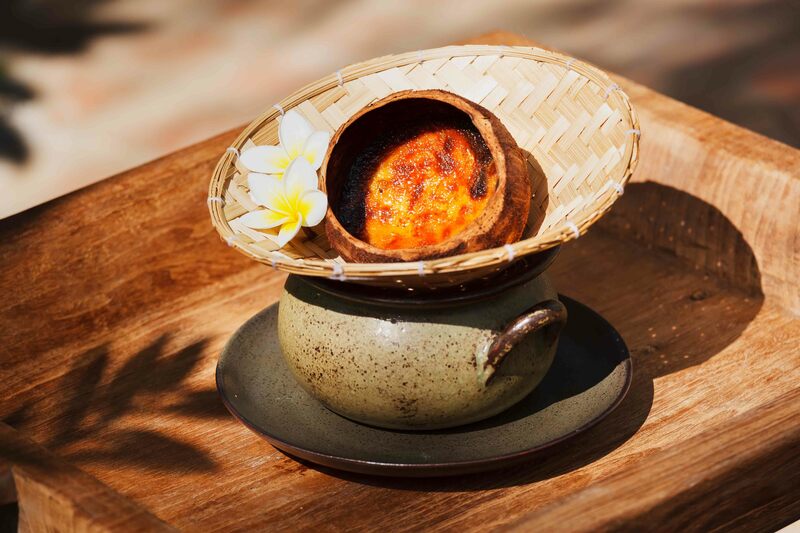 And to round out a meal on a sweet note, dive into the Sangkhaya Makphao: steamed coconut cream served like a crème brûlée. While daily life has changed in Laos and around the world, Manda de Laos is able to carry on the traditions and spirit of Mama Phiew, dedicated to sharing how one cooked and ate in the past. 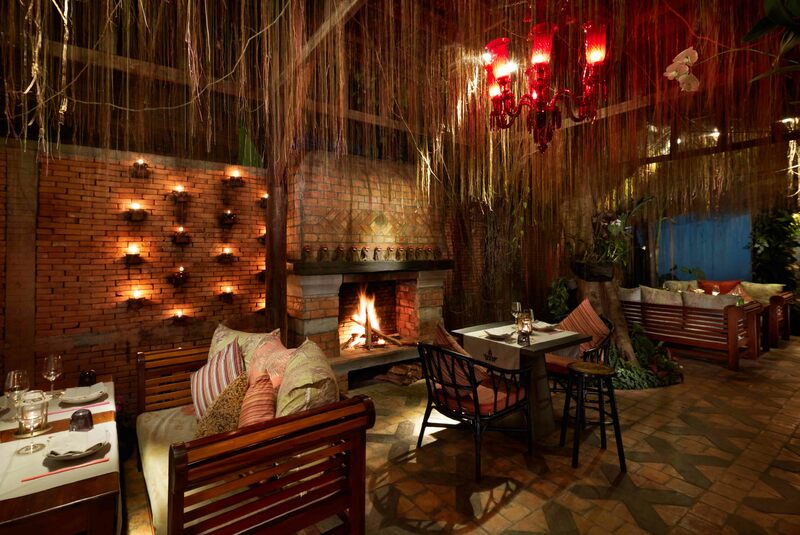 Manda de Laos is located in Luang Prabang’s Ban That Luang village.